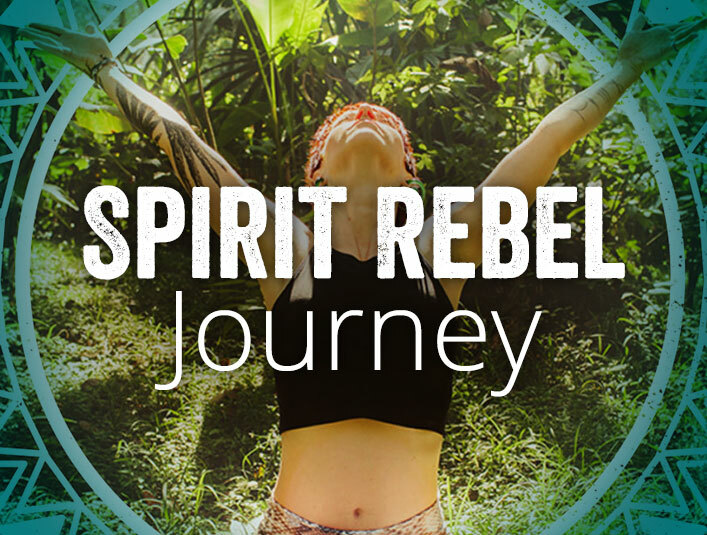 Spiritual Guidance for the rebellious soul - find your kindred spirits here! Are you still searching for your spiritual path, looking for some direction? Are you eager to get more connected spiritually but feeling too busy, or too lost to begin? Have you had a religious background you found controlling and unsatisfying? Are you eager to grow spiritually but unable to find a teacher who will not dictate, restrict and rekindle the dreaded feelings of guilt and failure? Would you like to walk a spiritual path that embraces and nourishes you exactly as you are? If any of the above resonate with you, read on! Spirituality is a very personal thing. Nobody can tell you which path is right for you, but many will try. No religious prescription will heal your weary soul and if you’ve tried a few you may be carrying a few scars. After ‘failing’ a few times to stick to some kind of religious protocol even experimentation can become ungrounded and feel like you’re floating, directionless. You want to forge a deeper connection to Spirit but are not sure about the best way of going about it. I totally get this! I’ve been there. This is what I do in a nutshell. I guide people into their own unique spirituality. This is what it means to be a Spirit Rebel – to forge your own path in a world full of confusing possibilities and agendas. I’m Shasha Crow, a mystic minded, soul-wanderer with 40 years experience in deep-diving into all things spiritual. Along the way I have conquered depression and anxiety, mothered an angelic wolf-child (ok he’s actually a boy, but he thinks he’s a wolf), failed at marriage found love can be found everywhere. I guided myself along the rocky pathways of religion and spirituality and now I hold my hand out to you so that you can experience on your journey the support I never had, wrapped up in a warm blanket of acceptance and liberating possibility. After a religious childhood I stumbled around between spiritual disciplines as an adult, confused by the conflicts and suspicion between religious and spiritual groups. All I wanted was to be one with God, and so far nothing was being offered to me that could make this happen. All I got were rules, judgments and the occasional moment of peace and joy when I managed to touch on the presence of the Divine amongst the mayhem. It took a number of years for me to discover the reality that I am already one with God. It was only my connection to this that faltered. I also realized that in order to maintain this connection, I could not rely on any institution or guru to show me the steps along the way. I was being called on by Spirit to make my own path. This is what I would like to help you do. Have a look at the opportunities below and see which resonate for you. I work with people through yoga, spiritual song, healing and esoteric practices. There is a 3 month 1:1 program as well as my 4 week group program, and my sliding scale makes it easy to afford whatever you budget. 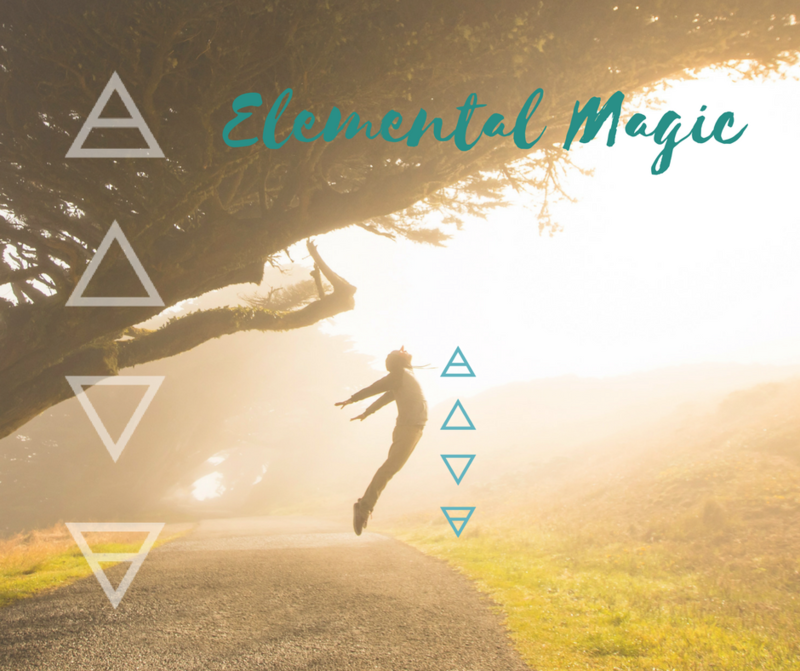 Welcome to Elemental Magic – An introduction to spirituality, powerfully through the medium of the Elements. Most of us relate more to one element than others but the truth is, all of them have something to teach us about ourselves and the world around us. We start at the bottom and work our way up. You will learn how to ground down through the elements and draw the power of each into the place and time that you require it. A 28 day foray into the spiritual connection you feel increasingly eager to discover. In this world of war, competition and politics, we have lost sight of community, co-operation and what it really means to be human. Re-establishing that connection is something we will all need to do to create our happiest selves, and also work towards a better world for generations to come. Where: Online in a dedicated Private FB Group (membership will be granted once you have subscribed) & via email to your inbox. Through the medium of weekly live videos to the FB Group (these will be recorded so you can catch up if you miss them), I will share the material for the week and my experiences with each of the exercises I am sharing with you. 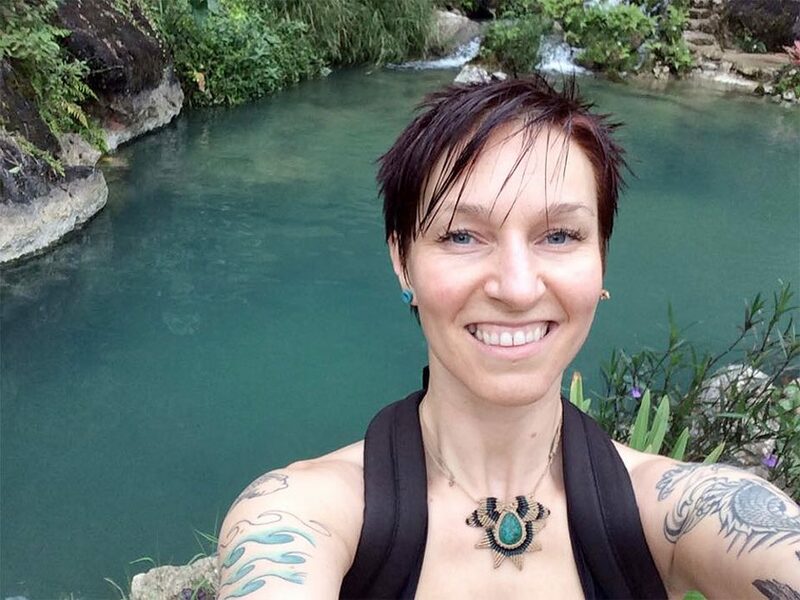 I will be introducing you to the cycles I use to maintain my spiritual connection and thrive in an increasingly disconnected world. Spaces are limited at each level, so please ensure that you book to avoid disappointment. There is a fantastic opportunity to have a taster of what is to come on the course in the shape of a FREE one-week Be In Your Element Challenge I am running via my Facebook Group Spirit Rebel Tribe. Add yourself to the group and join in from the 23rd to 27th October to get a short taste of working with connection through the elements. It doesn’t matter who you are or where you come from. You too are one with the Divine energy. There is no other source of life. I would like to help you discover the ways in which you, personally can connect to and unify with this energy to empower and transform your life. than jumping from one thing to another as you have done your whole life. You will not find many people who offer guidance on a spiritual path who do not come with their own agenda about how you should make your way through life. Although this is done with the best intentions, what works for them may well not work for you. Taking responsibility for your own spiritual development without referring to the expectations of others is extremely liberating. Nobody can walk this path for you. As you walk it, it is created. This is a 90 day, one-to one online program for the Spiritual Dropouts, the Sacred Seekers, those who yearn for a constant connection to Spirit in a modern world full of confusion and distraction. I will be your guide on the path to pursue and discover your own unique spirituality. I pour my heart and soul into guiding my Spirit Rebels and share my most personal spiritual experiences with you, as well as being here for you to ask your questions and express how you are getting on. My input to you is HUGE. This is not an online course you download and do in your own time, but one-on-one mentoring where I am with you every step of the way.